← Happy Chocolate Mousse Day! I was greeted by this wonderful treat when I came home from work. 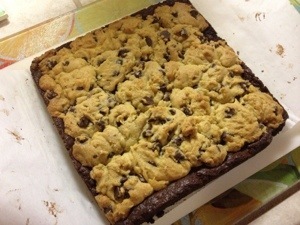 My daughter found the recipe on Pinterest, and it was a success! 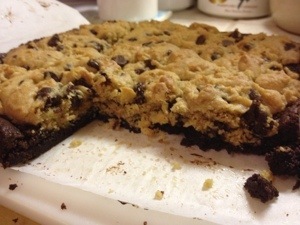 A layer of rich brownie topped by chocolate chip cookie dough. All you need is a small square and a big glass of milk. 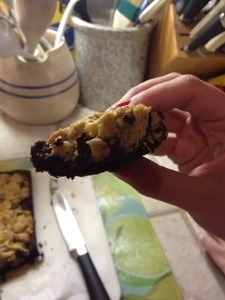 Posted in baking, chewy candy, Milk chocolate, references, recipes. Bookmark the permalink. I’ve always wanted to try something like this! Indulgence at its finest!